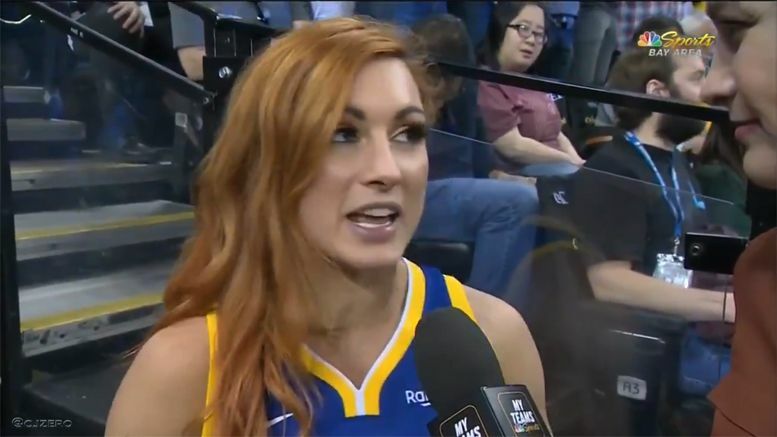 You know it’s WrestleMania season when WWE Superstars are cutting promos on their rivals during sporting events … which is exactly what Becky Lynch did last night. “The Man” was then asked if she had anything to say to Ronda Rousey and, of course, she was more than happy to oblige. Check out Becky’s courtside promo below.